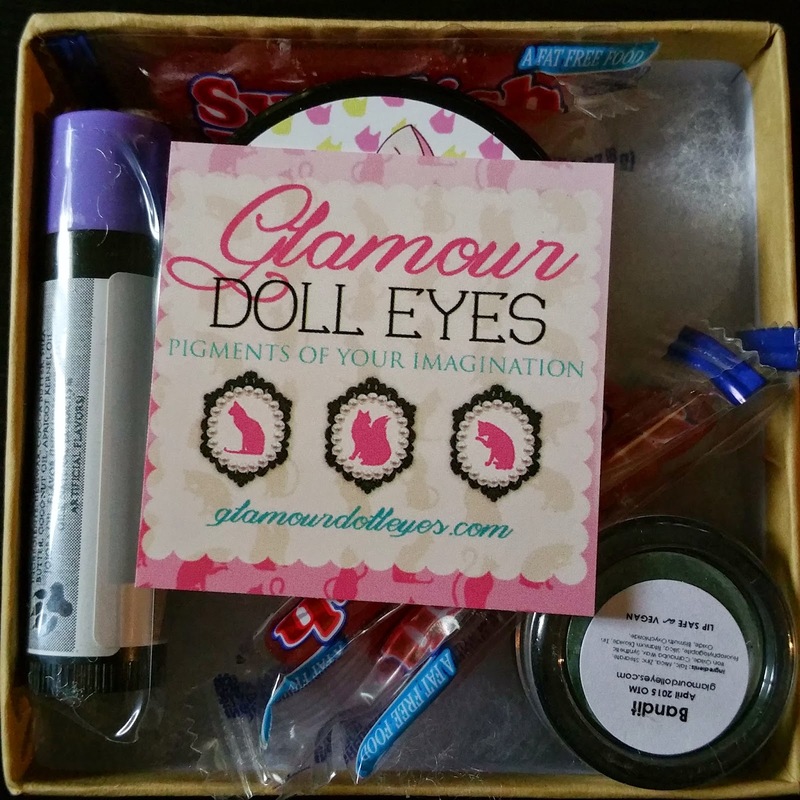 For those that haven't heard of Glamour Doll Eyes before, it's a wonderful indie brand that makes all kinds of makeup products. 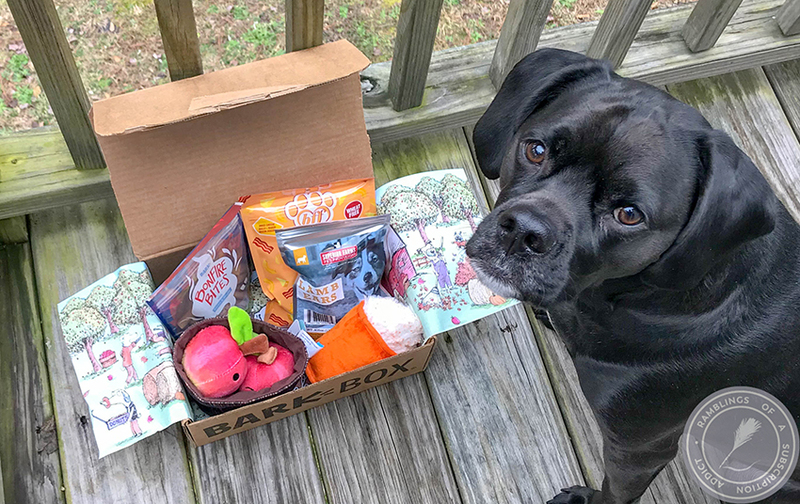 She recently moved to a new Of the Month site that handles the massive amounts of traffic that has been happening recently and is choosing subscribers via a Rafflecopter that you can enter in each month, so make sure to enter in every month if you don't win! 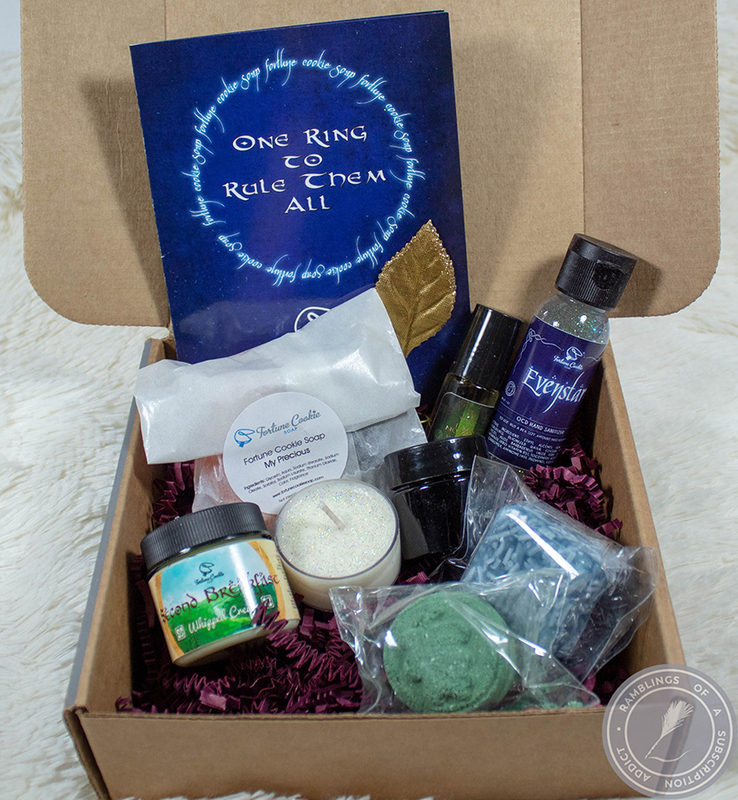 This subscription is $10/month ($15 in Canada and $17 elsewhere) and includes full sized products and usually (but not always) a freebie sample! 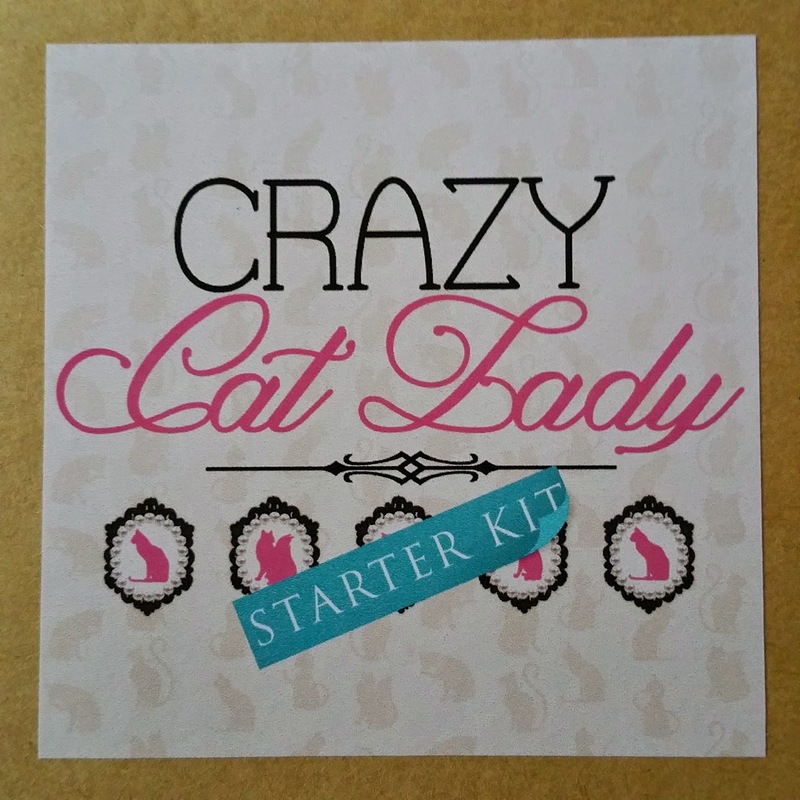 The theme this month is Crazy Cat Lady, which is adorable. Info card. 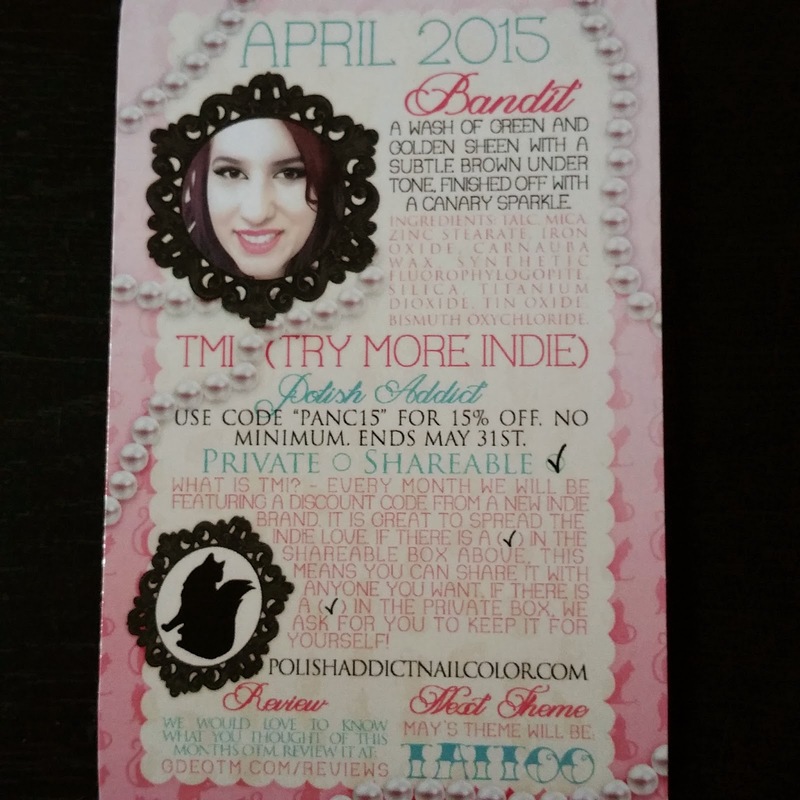 The Try More Indie code is for Polish Addict where you get 15% off with code PANC15. 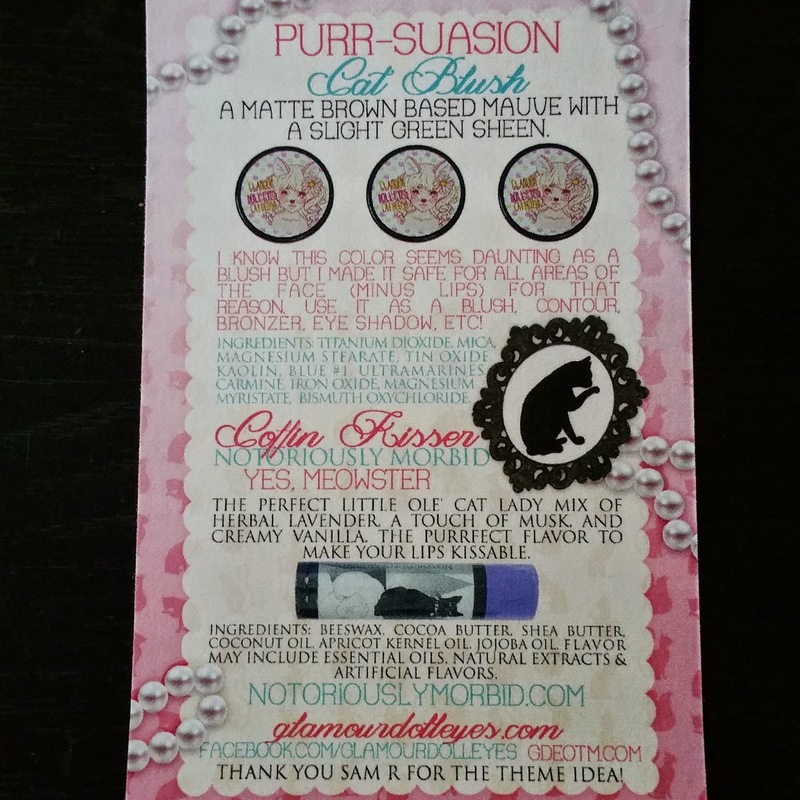 Purr-Suasion Cat Blush - A matte brown based mauve with a slight green sheen. 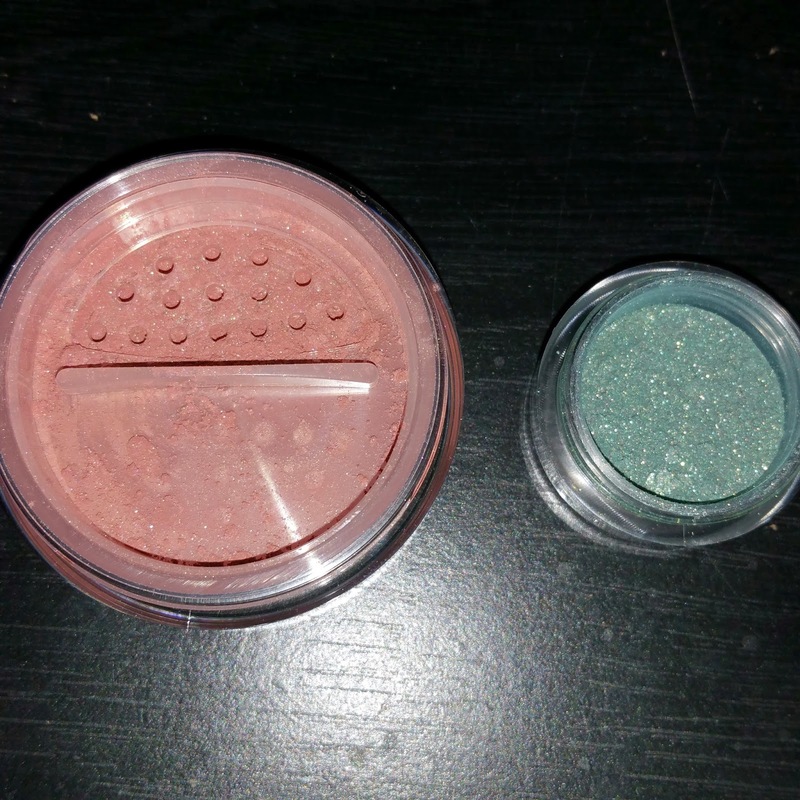 This is a shade that I would use for an eyeshadow instead of a blush, only because of how dark it is. 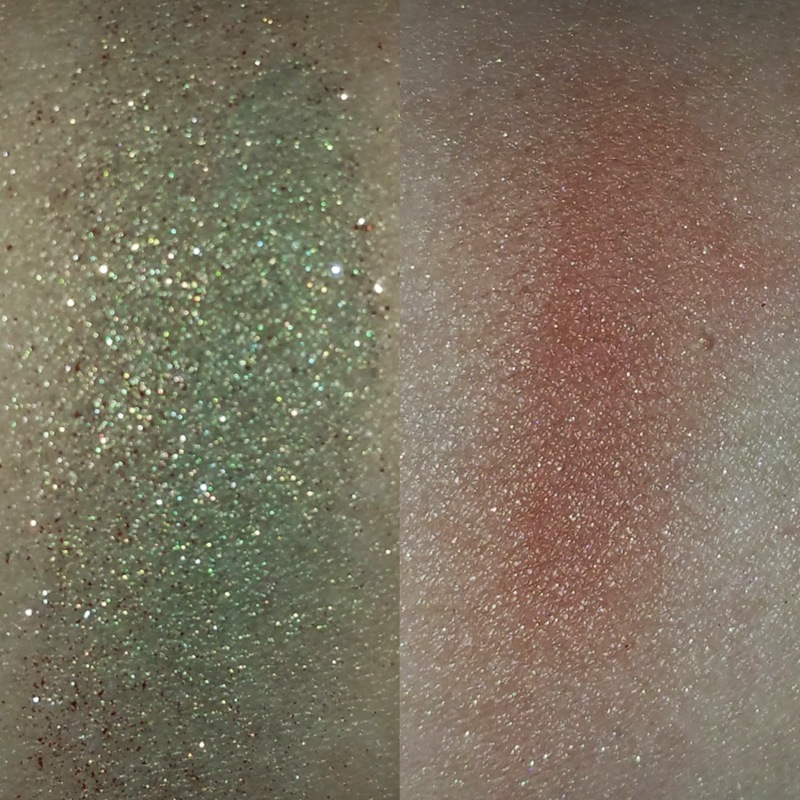 The shade itself is amazing and has enough sparkle. Bandit - A wash of green and golden sheen with a subtle brown undertone, finished off with a canary sparkle. I LOVE this green. The gold and the green make a great duo to be super versatile. The gold stays on much better than I expected it to, which is amazing. This month's box featured Notoriously Morbid Coffin Kisser in Yes, Meowster. I love NM's products (obviously), but I'm not a huge fan of the lavender in this. It's just a little too much for my personal taste, but I know plenty of others love it. This was a great OTM and I love how they featured another of my favorite indies in it! 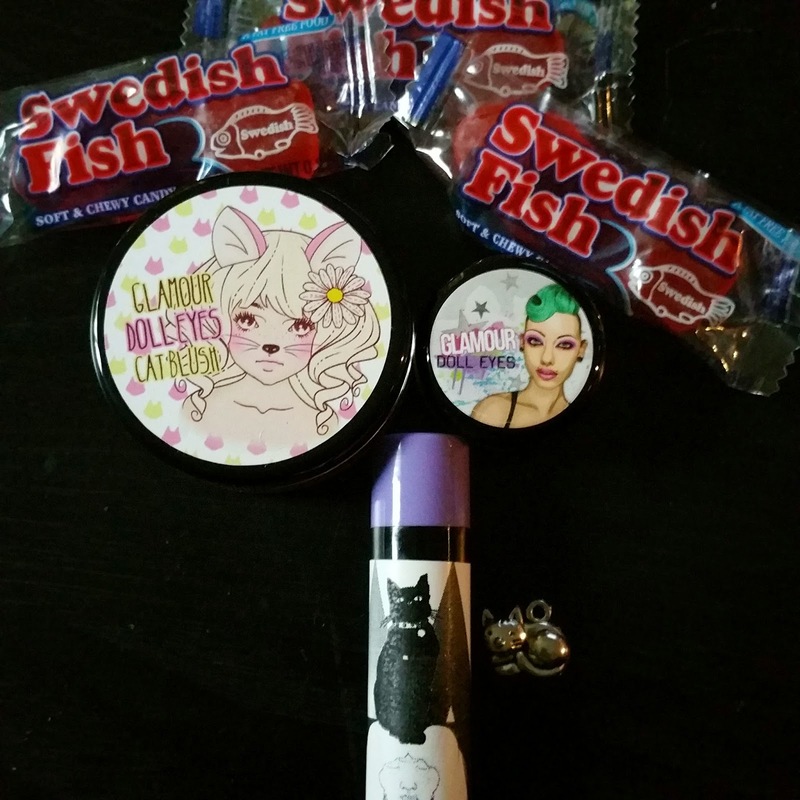 There was so much product and such a great value. The super cute cat charm fit in great with the theme. I don't know if I was sad about not having a bad this month, but I love how the box fit in with the rest of the theme. If you got OTM this month, let me know what you thought about it in the comments! 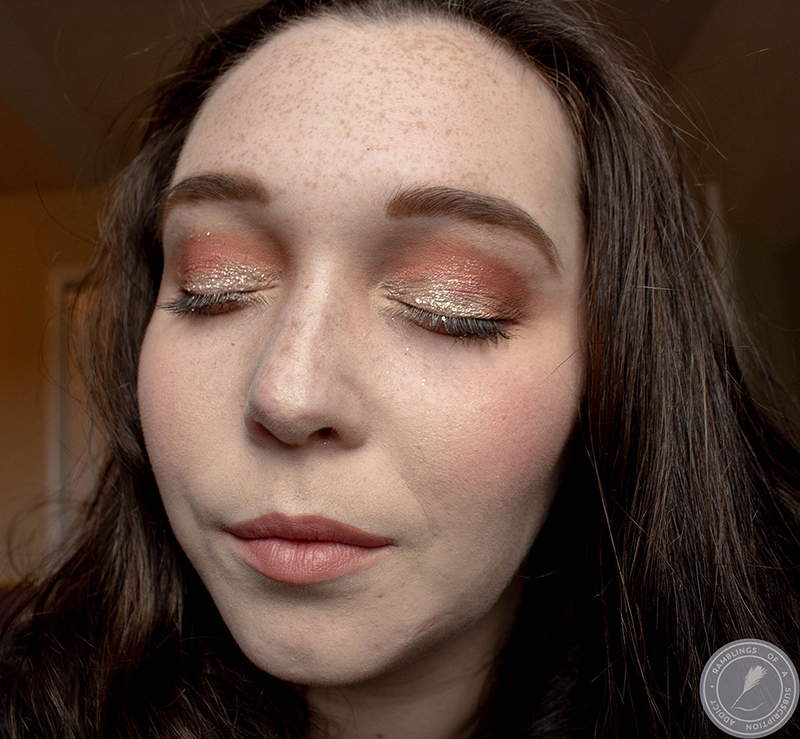 Thank your for sharing about this new makeup/monthly box!! 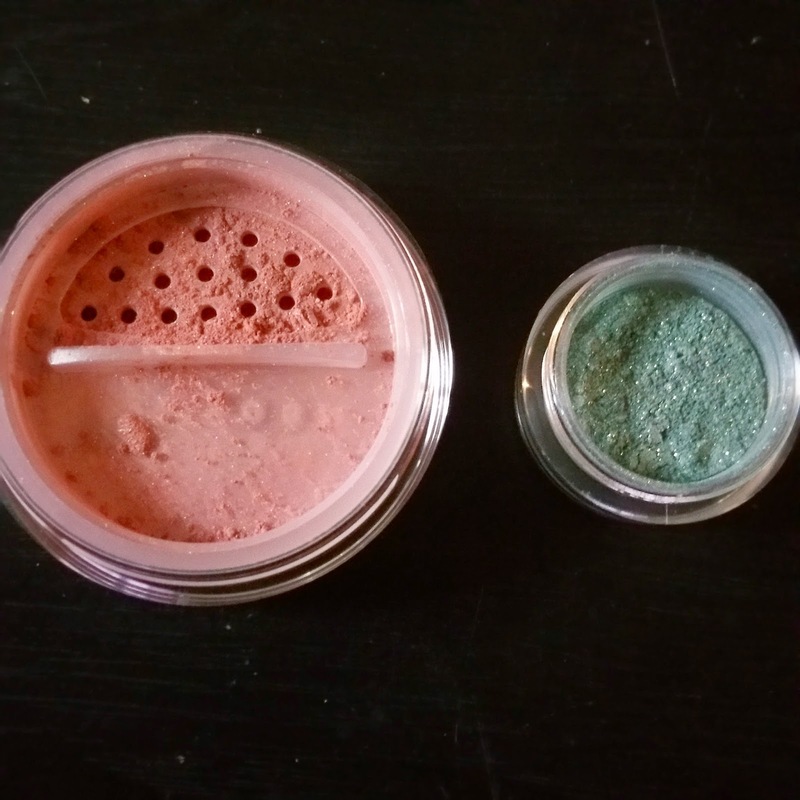 Love the color and description of the green eye shadow which sounds perfect for my hazel eyes! !